Los Angeles, CA (Sports Network) - The Los Angeles Kings have agreed to terms with free-agent defenseman Willie Mitchell on a two-year contract worth $3.5 million per season. Mitchell's 2009-10 season was derailed by a concussion, limiting him to 48 games where he posted four goals and 12 points. The former eighth-round pick of the New Jersey Devils in 1996, the 33-year-old has compiled 19 goals, 119 points and 621 penalty minutes in 586 NHL games with the Devils, Wild, Stars and Canucks. When healthy, Mitchell is one of the better defenders in the league, and he also brings his share of the nasty stuff to the table, something the Kings didn't have in abundance. Don't look now, but the Kings have built a Cup worthy defensive corps to go with their well rounded forwards. Flying a bit under the radar has been good for the Kings this off-season. Staying away from the temptation of signing Kovalchuk secures the long-term future of this team... which by the way, is bright! The Kings are looking forward to re-signing their franchise defender, Doughty; and have one of, if not the best, list of prospects in all of hockey. L.A. raked 9th in the NHL in both goals scored and goals allowed. 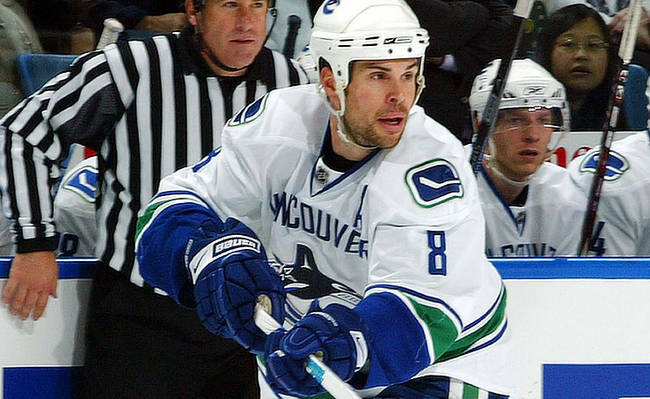 The addition of two-way forward Alex Ponikarovsky and today's addition of the defensive minded Willie Mitchell does nothing but enhance their chances of making a legit run at the Cup this season and beyond.